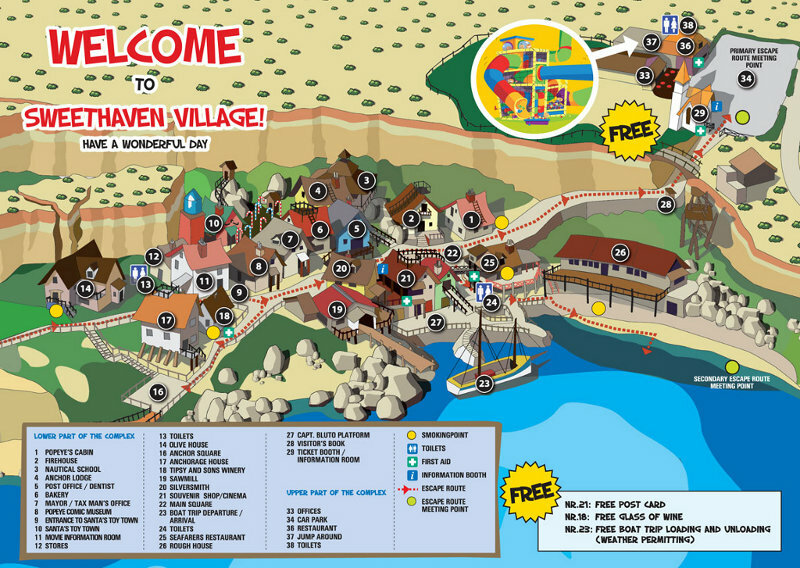 Popeye village was built as a film set back in 1979. The Popeye movie (starring Robin Williams) was filmed here. 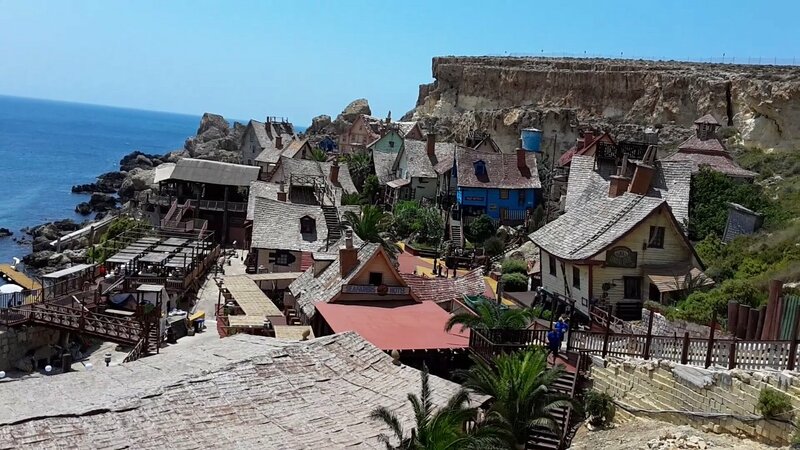 After the filming was ended, Popeye village (also known as Sweethaven Village) has grown into a major tourist attraction at Anchor Bay, Malta. When the film set was built a lot of wood were imported from Holland, tons of nails and two thousand gallons of paint were used to finish off the set. Also, Anchor Bay needed breakwater to protect the set from high seas during the shooting months. The village is full of colorful wooden houses and you should go and see every of them from the inside. 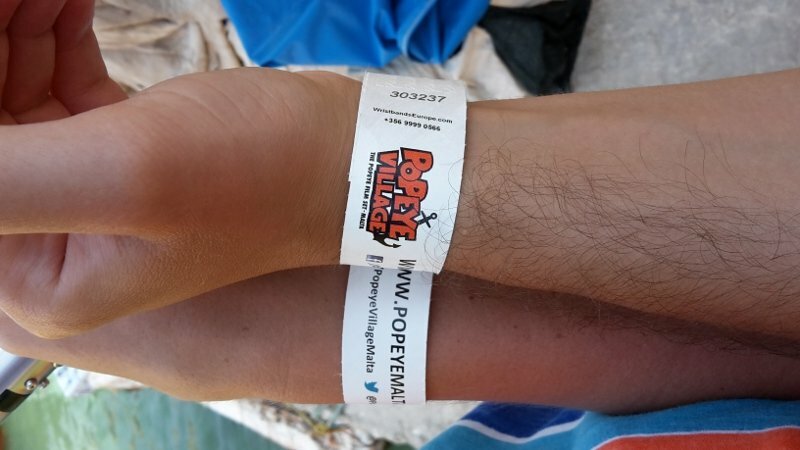 When you arrive to Popeye Village, either by bus, car or motorcycle, you will see a medium sized parking area and an also colorful building, called Ticket Booth, where you can buy your entrance ticket. With the ticket you will get a bracelet, a map about the village and also a few free things, which differs with the seasons. 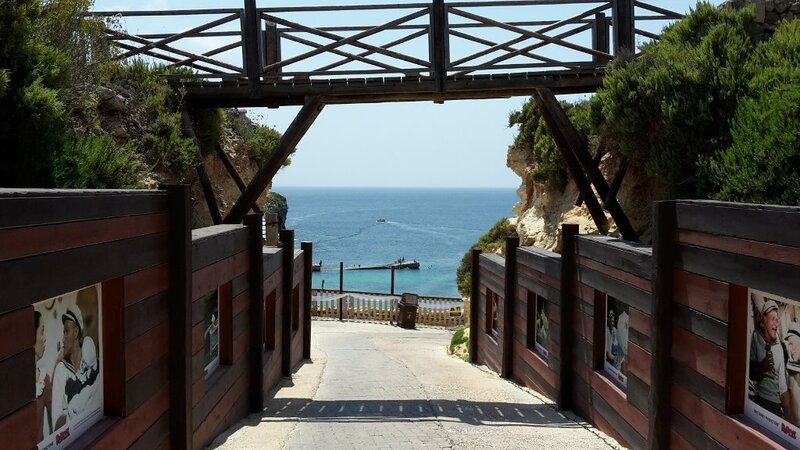 At summer we’ve got a free postcard, wine tasting, entrance to the cinema (15 minute documentary of the film set) and a free short boat trip around Anchor Bay. The about twenty-minute boat trip starts in each hour if the weather permits. If you go, count with a line of waiting people. There is only a small shade. As you go further you are getting closer to the shade, but at the and of the line, there is only blazing sun, so be prepared and bring a hat if you can. 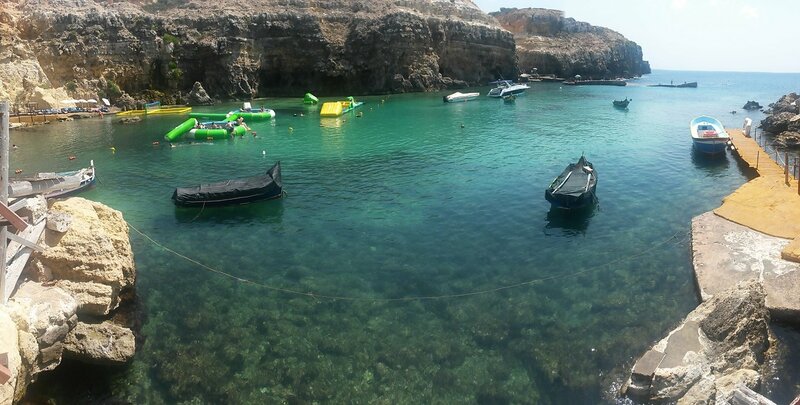 There is also a sandy beach at the bay, easily accessible with beautiful light sea green, clear water, so don’t forget to bring swimwear with you to Popeye Village. There are sun beds, sun umbrellas and a little water park, to be fully enjoyable your stay at here. If you came with a car or you have enough time to walk a big one, it’s worth to go around the bay. 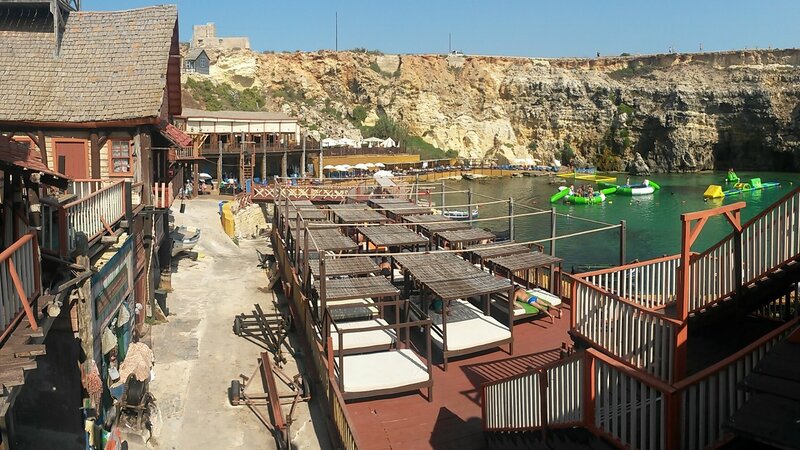 From Popeye Village you will see the opposite side, a little pier, where people are go diving and swimming. It definitely was a good experience and a lot of fun!